better understand the tax liabilities associated with property parcels in York County. twice a year following the approval of millage rates by the various taxing jurisdictions. Changes to property assessments and other data will be updated approximately once a month. By clicking "Agree", you are stating you have read and full understand the disclaimer. 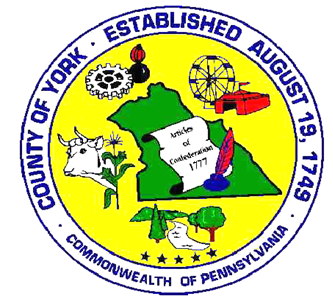 The County of York Assessment Office and York County IT Department (together referred to herein as the “County”) are providing this Tool in an effort to aid in research efforts. The property tax data on this site will be updated twice per year following approval of millage rates by the various taxing jurisdictions. Changes to property assessments and other data will be captured approximately once per month. The information displayed on this website is a collection of data from multiple sources. The County has made every effort to provide data that is accurate and up to date. However, The County does not guarantee that information on this web site is accurate, timely or complete. The Tool should not be used to determine how much you owe on your tax bill. This Tool is simply meant to provide researchers with the estimated face value of property taxes that are assessed to a given property based on the property’s assessed value and applicable mileage rates. It also provides a variety of other information meant to aid in research. Any errors or omissions will not negate or modify the taxes or special assessments that are due and payable. The County of York maintains an ongoing program to correct any errors or omissions that are brought to its attention. The County encourages individuals to contact us at taxassessment@yorkcountypa.gov in the event an inaccuracy is discovered. The County is providing this information on an “as-is” basis and it should be used for reference purposes only. Independent verification of any data, product, or service should be obtained by any user. The County disclaims, and shall not be liable for, any and all damage, loss, or liability, whether direct, indirect, or consequential, which arises or may arise from the use of any GIS data, product, or service by any person or entity. The information provided on this website is not intended for solicitation purposes or for personal financial gain of any kind; but rather to provide the public with better knowledge and understanding of the contained information. All information on this website is proprietary. Resale of this information is prohibited.